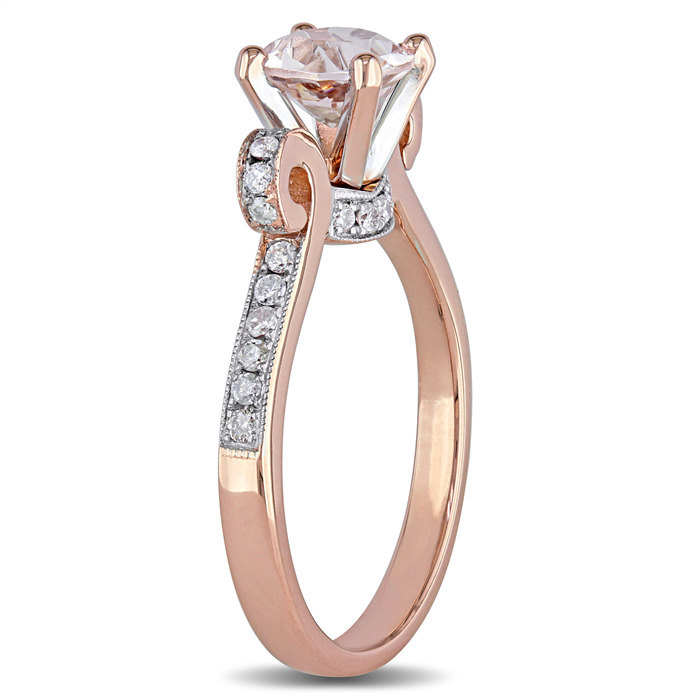 Simplicity and charm set in an un-traditional style. 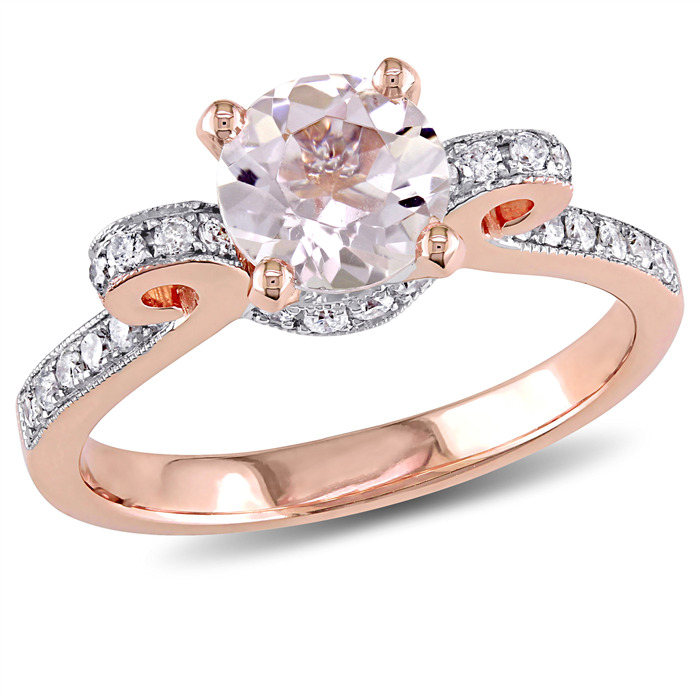 This ring exudes the warmth and endearment of a fresh new love. 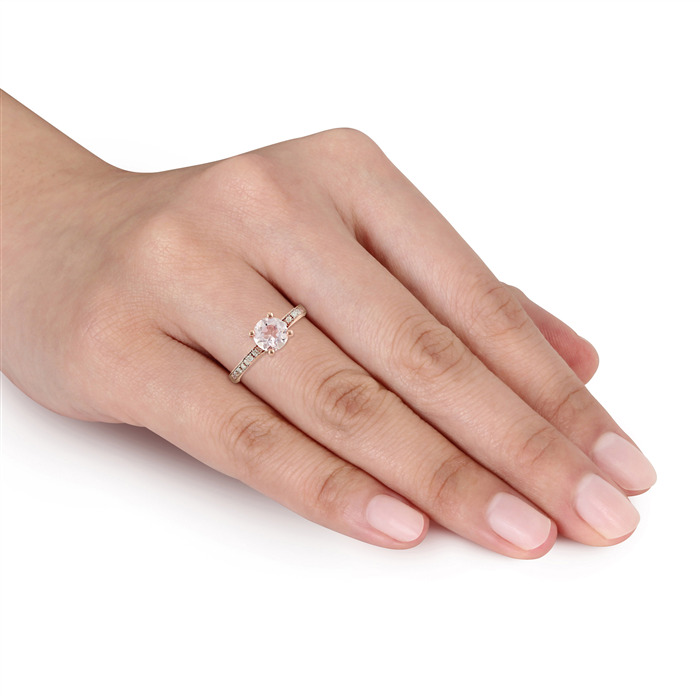 Celebrate and make that moment unforgettable with a blush pink morganite gemstone ring accentuated with diamonds and set in feminine 14k rose gold.